South Cave Scouts are young people aged 10½ to 14 years. Scouts are the third section of the Scouting family above Beavers and Cubs. Scouts take part in a balanced programme providing them with the opportunity to explore different activities. 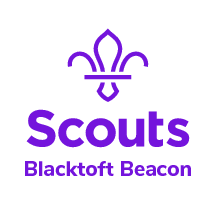 The varied and fun programme of activities; both outdoor and indoor provides the Scouts with an opportunity to earn a range of challenge and activity badges, whilst working towards their Chief Scout Gold Award and having fun.